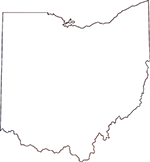 COHHIO’s Youth Housing Initiative seeks to reduce the barriers that prevent Ohio’s homeless youth and young adults from gaining access to housing, services and stability through furthering advocacy, training and education in order to put an end to youth homelessness across our state. The program also aims to provide at-risk and homeless youth with tools and information to assist them as they navigate systems and communities for supports and services. We partner with young adults from across the state to build our Opening Doors for Youth Regional Collaborative curriculum, to develop content for Taking Charge and to assist COHHIO staff in trainings for housing providers and stakeholders. Taking Charge: The Youth Housing Initiative has developed Taking Charge, an online tool that supports and empowers transition age youth through self-advocacy. This resource assists youth in understanding both their rights and responsibilities. Developed in partnership with youth & young adults, Taking Charge targets 16-24 year-olds and covers 12 topics, including education, well-being, housing and foster care to name a few. Southeast Ohio Youth Homelessness Demonstration Project: The Youth Housing Initiative and the Ohio Balance of State CoC partnered with several local agencies to secure a $2.2 million federal grant aimed at implementing innovative methods to end youth homelessness in Athens, Vinton, Meigs, Jackon, and Gallia counties. 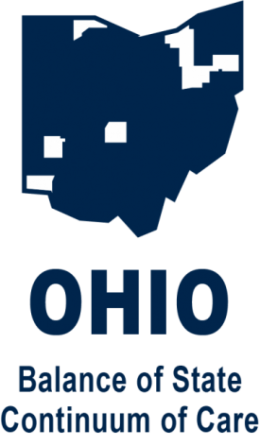 COHHIO will serve as the lead agency, collaborating with local partners to create a coordinated community plan and develop new projects to prevent and end youth homelessness in the five-county region. Regional Collaboratives: Homeless and unstably housed youth and young adults can have a variety of distinct needs. It is important that youth are met with resources and services that take on a holistic approach and are developmentally appropriate. To that end, the Youth Housing Initiative works to emphasize the importance of cross-systems coordination and community collaboration when working to develop or enhance housing and services for youth and young adults. The Youth Housing Initiative has developed a 2-day Community Collaborative Summit that will be provided in homeless planning regions across Ohio. 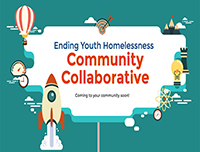 If you would like to bring the Ending Youth Homelessness Collaborative to your community, please contact us by email or phone at evettebethel@cohhio.org or 614.280.1984 ext. 132. 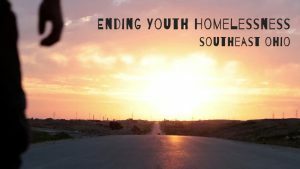 Youth T&TA: COHHIO’s youth homelessness experts offer training and technical assistance related to best practices and effective strategies for housing and serving homeless youth and young adults. There are currently two on-going trainings that the Youth Housing Initiative provides by request from housing and homeless providers and stakeholders. Both trainings are free of cost to COHHIO members.